As a global traveller, on this planet there is nothing more remote than Antarctica. It is way bigger than it looks on any common map. That place is just so vast. 14 million square miles and 1.5 times the size of the U.S. and is 98% ice and 2% barren rock. In fact we learn that the largest countries in the world are Russia, China, Canada, but actually if Antarctica was a country it would be #2! See largest countries by area. According to the CIA’s World Fact Book there is a population of 4,400 in summer to 1,100 in winter, with an additional 1000 in research boats off the coast. 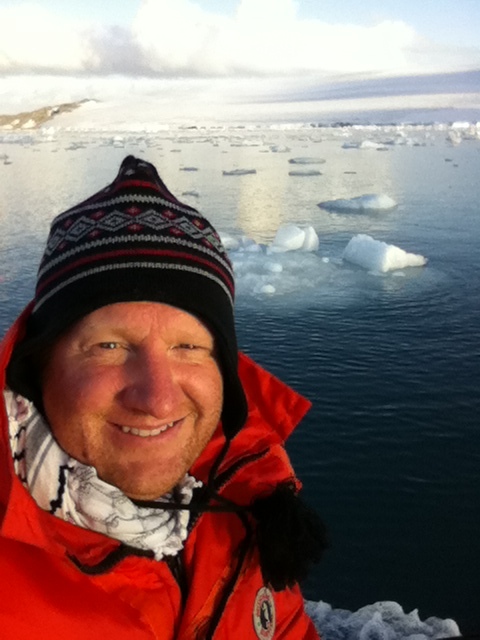 In January, I had the chance to visit Antarctica on a research and speaking mission. 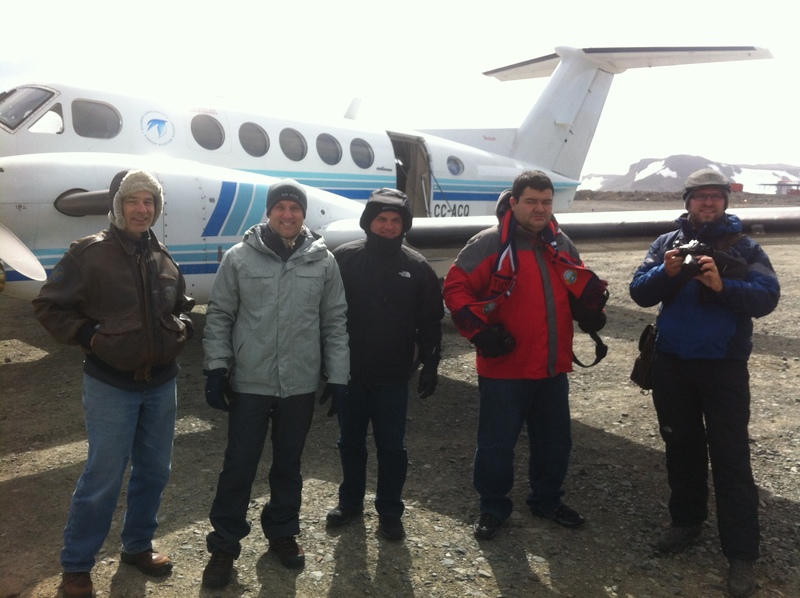 I wrote about the background details of this trip on my technical blog in a post called – Sharing The Point Antarctica. We stayed on the Antarctic Russian base right next to the Chilean base and small Chilean village Villa Las Estrellas, and visited the Chinese base “The Great Wall” station, and saw the Uruguayan base. It was an incredible experience as you can imagine. Ice and barren rock sounds pretty boring, but this was anything but boring. If you’re planning on going to Antarctica there are a few ways to do it. 1) Cruise – There are a number of cruises that cruise around Antarctica. The best way to reach Antarctica is by small-passenger cruise ship. Many tour companies run Antarctic cruises and expedition programs, providing a wide range of Antarctica travel options, ships, itineraries, dates and prices. Pay particular attention to the excursion options. Some, especially many of the large cruise companies do NOT include the ability to go to the mainland or even stop at the Antarctic islands, but just allow you to see it. You want to look for Zodiacs that shuttle passengers from ship to shore and provide scenic tours or helicopter shuttles or flight-seeing… just depends on if you want boots on the ground. There are various options from Chile, Argentina, New Zealand, and Australia. Antarctic Peninsula trips usually start from Ushuaia, Argentina. That’s the worlds most southerly city, known as the end of the world and is a great destination in it’s own right. 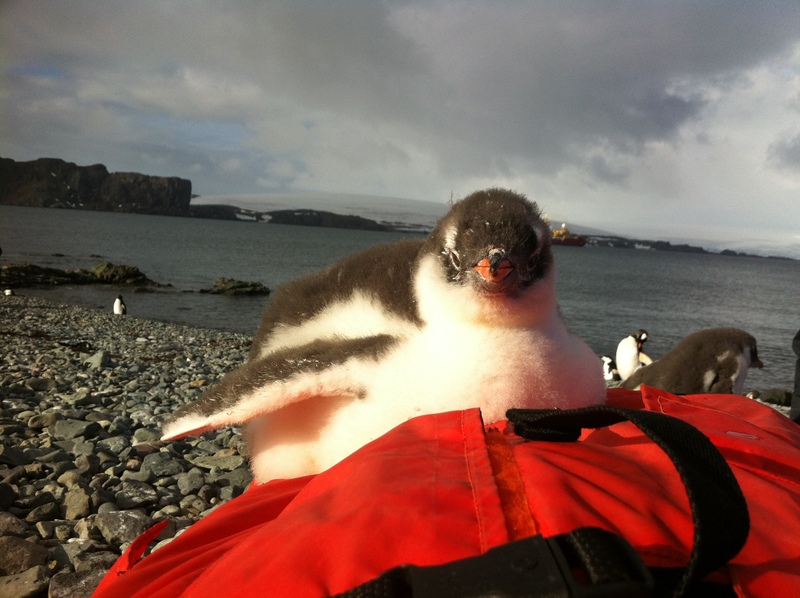 There is a limited number of visitors to Antarctica to help preserve it. Something to be aware of is the Drake Passage can be pretty choppy. Those that don’t need the excursions may like the bigger boat. Just do your research, so you’re not disappointed. 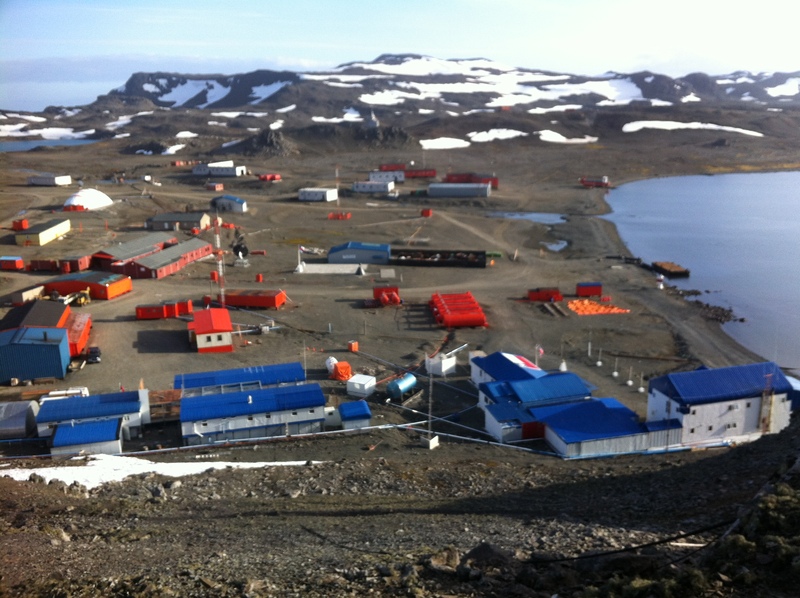 2) Plane – There is a gravel landing strip on King George island at Frei Base, Teniente Rodolfo Marsh, which houses the Presidente Frei Meteorological Center, one of the main meteorological and navigational stations in the Antarctic. In our research we went with Victory Adventure Expeditions which offers both cruise and fly options. We were doing a number of stops in South America and decided the overnight option would give us the most flexibility and keep our entire trip under 2 weeks. You do really have to plan ahead. The plane we went on had minimum and maximum 6 passengers. The step up from that was min 33 max 70. As well, there is a narrow window of end of Nov to early March for trips and they fill up. There are day trips as well as overnight. We did the overnight option. The scenery, fauna and marine life are the main attractions for the tourist; this place is one of the few in the world that has remained untouched by men, this is why it constitutes one of mankind’s most important biosphere reserves.” I agree. The animal life is wild. Mind blowing in terms of the diversity and how protected it has been over the last 100 years. I hope it does continue for many generations and forever. 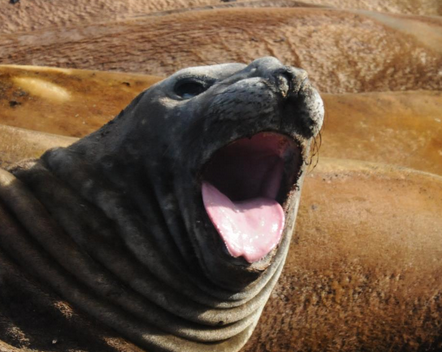 As well, we visited the other side of the island where we ran into a herem of elephant seals. One male and 13 females. Apparently that’s it goes. We thought we’d join in the fun. It was interesting to see that only the male had the major long elephant snout. The penguins were amazing. We went around in Zodiak’s and would see penguins swimming along with us and jumping out of the water like dolphins. 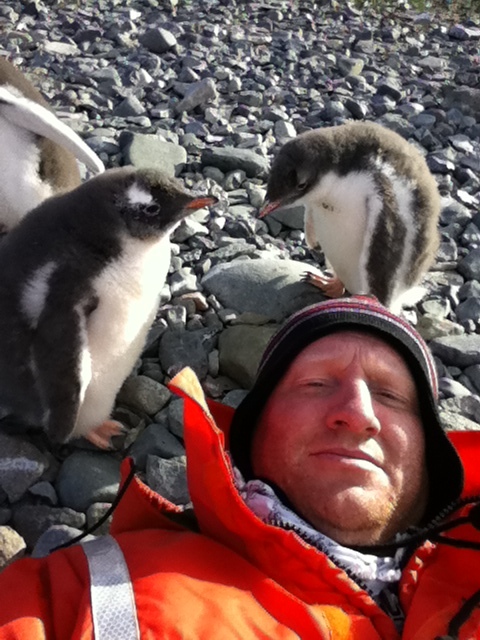 For me it was seeing the animals in their habitat and walking around on Antarctica which felt like being on Mars. Not that I’ve been on mars, but definitely felt like another planet. There aren’t any trees or bushes, just liken, moss, and strange grasses. While some would describe it as a barren wasteland, the reality is it’s some of the richest fauna on the planet. Tons of different kinds of whales, various seals and sea lions, elephant seals, various sea birds including various cormorants, sea eagles, and we saw a huge albatross. The conditions were great while we were there. While we were glad we brought our snow clothes, the wind wasn’t too bad. Our Chilean guide brought us to a couple of different glaciers. For the zodiac rides we wore these orange Life suits that apparently can float. They did give us the suits and we wore our normal clothes under them. It was like a cartoon. We rode past massive glaciers with penguins following us jumping out of the water at one point we had 40 of them jumping along. As we approached one small glacier we saw two penguins perched on top. We even witnessed one of the large glaciers calving. The sound we first heard was this very deep moan and cracking sound. It was a bit freaky. Then we all started looking and finally large chunks busting up into the water which then created a pretty good swell which reached our boat. Our guide knew how far to stay back. He was smart. I really wanted to get closer, but he knew the safe distance. The biggest surprise to me was the flora. I knew there were penguins and different types of whales and seals. Tons more than I imagined, but what I didn’t know is that 2% of Antarctica is currently rock. What is exposed during summer isn’t just barren. There is green! The plants are extremely hearty, these plants aren’t much of plants anyway. They are liken, moss, and algae. There is moss that even looks like grass! 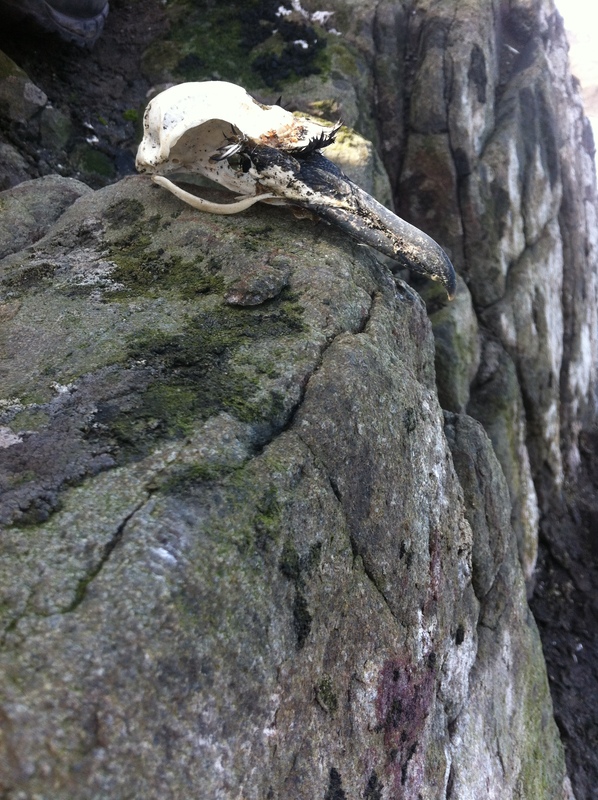 Interesting to be talking about Darwin as on this same trip I’d visit the Beagle Channel and see all sorts of birds and nests that have been in the same area for hundreds if not thousands of years. This little guy and I would check each other out including having him jump on my chest. In the course of the exchange I’d have his baby fur up against my face. Life in Antarctica… can you imagine? What would life really be like? A Bank, a post office, a cafeteria, a school. Yes to all of these, the Chileans have really built a village that the other stations use. We saw a couple of Chinese Great Wall Station workers come and barter with the Chileans. Apparently they don’t stay isolated. Despite the fact that these are different countries, the lines are very blurry when it comes to Antarctica. The Antarctic treaty keeps the peace, it doesn’t solve any of the disputes. We visited the monument that marked the nations that signed the peace treaty including Russia, China, U.S., Britain, South Africa, New Zealand, Australia, and more. Michael provides more detail on this. A link to his blog is at the end of this post. We all sent post cards from this post office. My kids got my cards in the mail… 3 months later. Do they have computers in Antarctica? Are there cars in Antarctica? Is there TV in Antarctica? What does the landscape really look like? One night, the one we had, it didn’t get darkish until around midnight. Michael and I both were thinking, come on this is the place to take the polar plunge. With all the ice in the water, this has to be the ultimate travel challenge of either pole. We did it. We both encouraged each other and ran into the water and dunked and threw water all over ourselves and ran back into camp half dressed or less. One tip for you if you visit the stations and bases. Bring gifts. Michael had all the Russians we met getting really friendly. He brought vodka. One of them had mentioned we could use their Banya. This was the perfect moment to jump in the banya (spa) and warm up… Unfortunately our directions weren’t as clear as we thought they were and we were afraid to knock on too many doors to cause suspicion. What an incredible moment it was though! I feel more like a man. As I wrap up this post I reflect on the Titanic and it’s media mentions and fanfare. Have we advanced as a society in relation to water travel? I have to think it’s very ironic we had a cruise ship go down this past year when our cruise ships are unsinkable. I think it’s important to reflect on our infalibility. We have weekness, we do stupid things. The captain and his men failed to correct. I don’t know the whole scenario of either incident, but I do know we must learn from our mistakes or will we repeat them. In conclusion. Antarctica is truly a life changing experience. You really do leave life as it is, and look back at it from another perspective. Travel does that to people, and Antarctica, the final frontier does that to the extreme. Many ask how to top a trip like this… space? the Moon? Mars?!! I definitely felt like that after this trip. All trips will be compared from a nature perspective for sure. I went to extremes to the ends of the earth and I came back a changed man. I think you will too. Enjoyed my post? I recommend reading these other posts on this fantastic trip.